Designed for use with intermediate timber floor constructions, Mainfoil has high insulating and reflective properties. 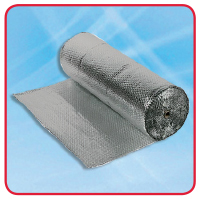 The foil increases the thermal efficiency of the system and allows installation to be carried out between joists. (One 30m2 roll = 20m2 UFH coverage).